Another hard bird to photograph. 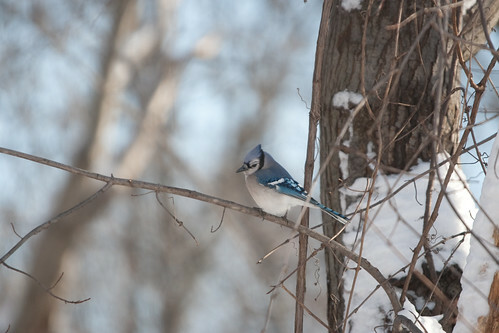 The blue jays are in my yard even less often than the cardinals. And they run away at the slightest move by me. But, once again, patience paid off.